Mr. Asaduzzaman Chowdhury, course instructor of POM, assigned the project and this report is prepared under his guidance. Lack of secondary information was the major problem that I faced during the study. The annual report was the only secondary source of information, which is not sufficient to provide the reader with a vivid idea on Needle Stitch. Due to limited knowledge in this field, all the aspects of this study could not be covered. Every organization has their own secrecy that is not revealed to others. While collecting data i.e. interviewing the managers and employees, they did not disclose much information for the sake of maintaining confidentiality of the organization. 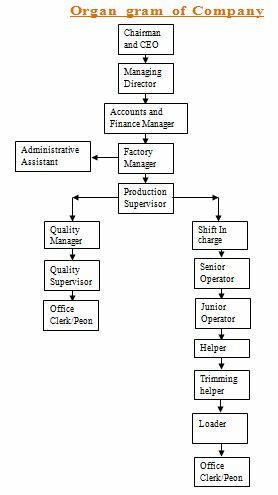 Fundamentals of production and Operations Management. 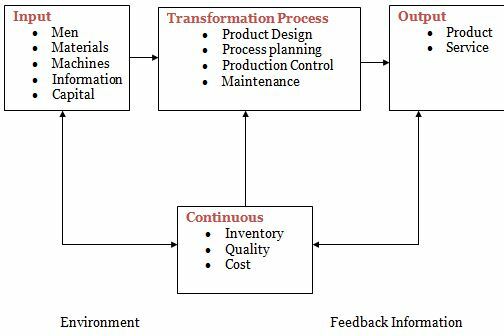 Transformation of production and operational inputs into outputs that when distributed meet the needs of customer. Strategic (long-term) decision-How, where, how much, when etc. # Every one is an expert on services. We all think we know what we want from a service organization and by the very process of living. # Services are idiosyncratic: what works well in providing one kind of service may disastrous in another. # Quality of work is not quality of service. An auto dealership may do good work on your car, but it may take a week to get the job done. # High contact services are experienced whereas goods are con summed. # Effective management of service requires understanding of marketing personnel & operation. # Services often take the form of cycles of encounters involving face-to-face, telephone, electromechanical and /or mail interaction. # Buffered Core -Which is physically separated from the customer? # Reactive System – Which is both penetrable and reactive to the customer’s requirements? # Make it clear that you are happy for customers to invoke the guarantee. # How large the order should be. # Maintain Independence in operation. 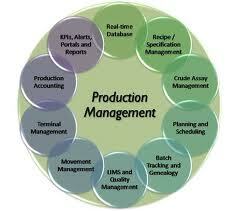 # To allow flexibility in production scheduling. # To maintain safe guard for variation in raw material delivery time. # To take advantage of economic purchase order size. # People should respect and trust each other in the organization. # Contribution is the key to success and we believe in teamwork. Mission Statement of Needle Stitch. Q. 1. Sir, What is the competitive issue of your organization? What is the reason of selecting such a competitive issue? Price and Quality is the major competitive issue of one/four organization. Q. 2. What is the rate of new product development? Q. 3. 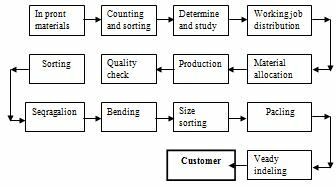 Is there any practice of process analysis? What is the result? Q. 4. Get the facility location. Is there any study on present facility layout? Q. 5. Relevant information on productivity calculation. Ans. a). clear unnecessary materials. 1.3, clear superfluous things and tools. 1.4, remove idle equipment and tools. Q. 6. How the product quality is maintained? Q. 7. Is there any practice on supply chain strategy? Q. 8. The system of service encounter? Q. 9. Reason behind the facility location. Q. 10, How forecasting on demand is calculated? Q. 11. 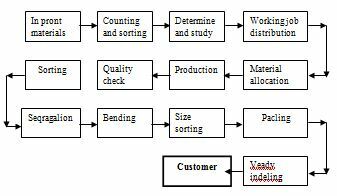 Inventory management system of the organization. Is there any application of automation on inventory management? Q. 12. Is there any concept of order winner and core competency?